Focusing on Britain, continental Europe and the Atlantic world between 1500 and 1750, our Early Modern History MA covers a wide variety of topics including religion and politics, gender history, power and social relations, mentalities, orality and print culture, questions of authenticity and forgery, and material culture. Our programme is characterised by its intensity, rigour, and creativity of study. Through it you’ll not only acquire a deeper and more advanced knowledge and understanding of early modern history, but you’ll also develop and improve your understanding of the problems and opportunities posed by primary sources and documents. You’ll learn how to apply complex historical theories and concepts to test hypotheses against detailed examples and case studies. You will also acquire the ability to discriminate between conflicting interpretations and perspectives, and to discuss findings and communicate them in a clear manner, both in discussion and in your work. In our English Paleography module you’ll even learn how to decipher handwriting of the past. Through our taught modules and your own independent research, you’ll develop the skills and knowledge you’ll need to undertake advanced independent historical research, which you’ll demonstrate through your Master’s dissertation. So you’ll graduate ready to take your studies on to doctorate level, and with qualities that are in high demand in the workforce, including problem-solving, self-discipline and time-management, the ability to work with others, and excellent oral and written skills. 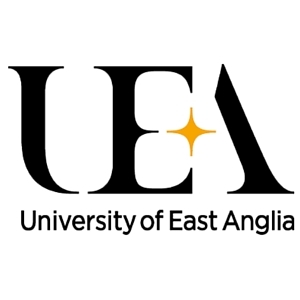 Visit the MA Early Modern History page on the University of East Anglia website for more details!